As rumored two days ago, it is now confirmed that Zynga will hold an initial public offering of its stock on the NASDAQ tomorrow. The dominant maker of Facebook video games such as FarmVille and Mafia Wars has priced 100 million shares at $10 each. MarketWatch reported the development this afternoon, citing documents filed with the government. The company will be traded on the NASDAQ under the ticker symbol ZNGA. Word spread of an IPO earlier this week when sources said Zynga employees were taken into meetings to discuss how the offering will affect them and what it means for the company's future. 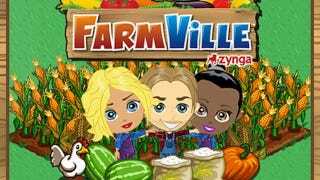 Zynga gave no comment to Kotaku when questioned about these developments.